Senior living leaders are constantly looking for ways to enhance the resident experience while optimizing community efficiency. It’s no surprise that executive directors and other decision makers are looking for smart solutions to address higher food costs and fluctuating utility prices. Argentum surveyed senior living decision makers about food trends, with a majority saying that their average food costs increased over the past 12 months. 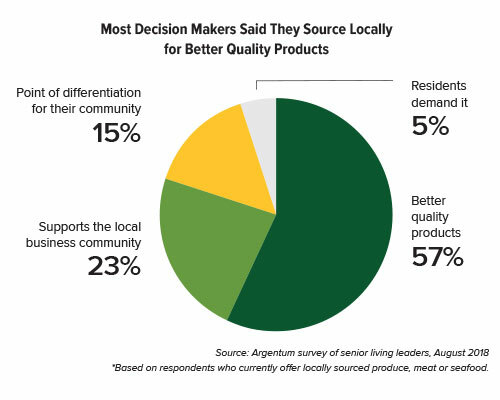 To cope with higher prices, many of these decision makers looked to alternative sources such as shopping around for other suppliers (59 percent) or purchasing more items from local sources (29 percent). 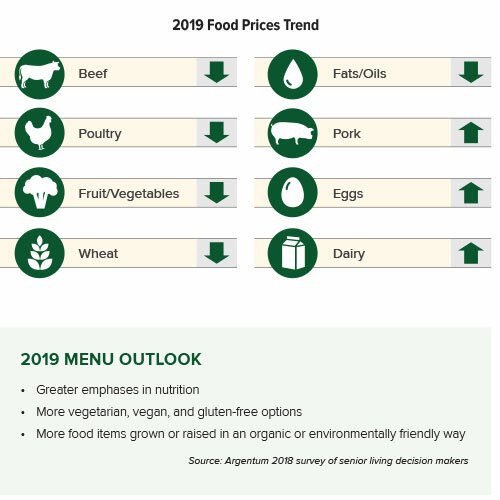 Fortunately, the U.S. Department of Agriculture predicts that nine major wholesale food cost categories are expected to see price declines in 2019. The Edgehill plan includes going local and regional for seasonal items. 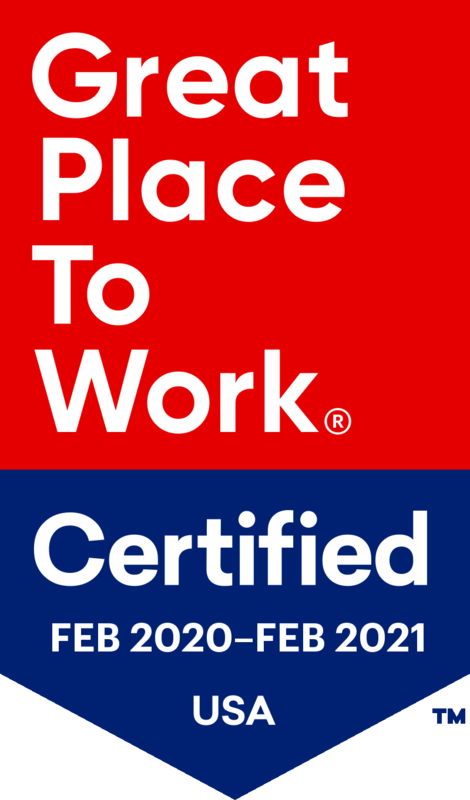 “Our strategy includes using fish mongers and produce vendors all within a close geographical area while beef programs are from a western packer that provides high quality meats at a lower cost,” according to Barstein. Only 5 percent of senior living decision makers said in a recent Argentum survey that energy and utility costs are a significant challenge, but 49 percent consider it a moderate challenge for their business right now. To help manage costs and reduce their company’s environmental footprint, many survey respondents plan to invest more in efficient fixtures and equipment. Topping the list are energy-saving lighting fixtures, which 37 percent of survey respondents said they plan to devote more resources to in 2019. 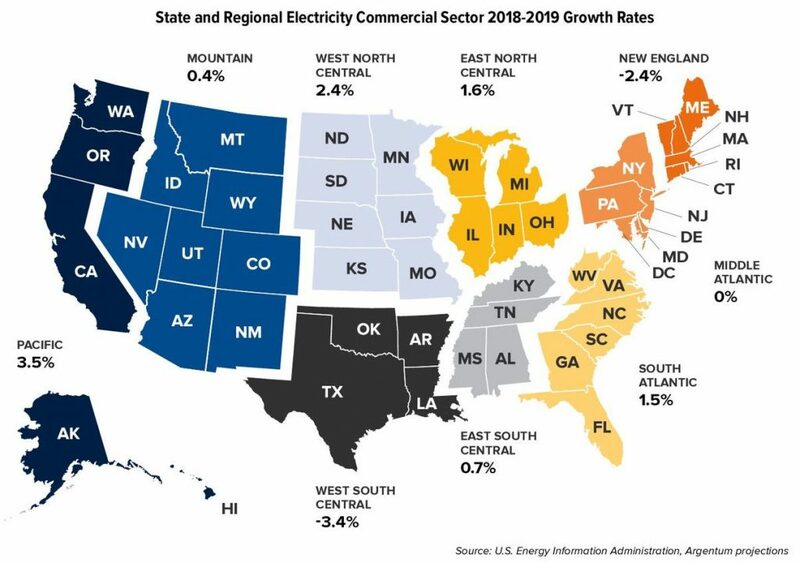 The EIA is forecasting an uptick of 0.6 percent in electricity costs from 2018. But the EIA predicts a strong 3.5 percent increase in 2019 in the Pacific region. Additionally, natural gas prices are projected to rise across most of the country. New England’s commercial sector is experiencing the highest natural gas price increases, with prices on pace to jump nearly 15 percent in 2018. Although the region’s natural gas prices are expected to drop 5.5 percent in 2019, the declines won’t be enough to offset the sharp 2018 increases.